Can I use robotic process automation (RPA) in my small business? The concept of automation is not new. Neither is the idea of using “robots” to do things that humans were previously required to do. However, the idea of being able to afford any of this in a small business has been far out of reach as automation was widely considered an “enterprise” concept. Good news for the average small business owner, that time is over! To begin, robots are no longer only large expensive machines with shiny arms and precise movements. While those still exist, even a piece of software can be classified as a robot as long as it is performing automated tasks previously performed by a human employee. For small businesses to be competitive in today’s landscape both in financial and customer service standpoints, automation is critical. Additionally, automating repetitive and mundane tasks allows the business to scale faster and focus their human capital on more complex and important tasks. As many small businesses operate on a lean budget, RPA can allow the business to be less vulnerable to changes in the market landscape. By being able to scale up or down as appropriate to a changing workload without changing headcount, a small business owner can make decisions based upon what is best for the business and its customers as a much faster pace. This can give small businesses the ability to compete with its larger competitors at a level that was previously unattainable. 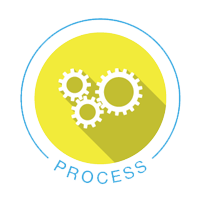 Look for the repetitive tasks in your business and find ways to automate them. There are many industry specific soft wares and platforms available to help make sure that your business is as competitive as it can be. This entry was posted in *All Posts*, Efficiencies, Employees, Financials, Getting Started, Information Technology, Management. Bookmark the permalink. ← Why does it feel like it takes so long to gain momentum in my new business? Not only does automatation reduce mundane tasks but should reduce errors that humans are prone to make while doing mundane tasks. The challenge is getting humans to trust automatation and periodically auditing the automation to ensure it is still working in the event of changes that may have occurred in the process.